Learn to make a knife under my guidance and supervision, and receive instructions on finishing your very own knife and leather sheath, using natural materials that I have been collecting from Icelandic nature through the years – the same as were used by the Vikings. I will explain the knife-making process to you and teach you the same techniques I have been using and mastering for decades, including designing, sanding, polishing, shaping handles, and, last but not least, making a sheath. Through the ages the Nordic people depended greatly on hunting to sustain themselves. The need for constant hunting resulted in just about all grown men carrying knives on their belts. In the harsh Nordic landscape the quality of your knife could be a decisive factor in your survival. Don’t miss this educational experience to become a knife-maker for a day. At the end of the day you will have made a unique one-of-a-kind knife, a knife that you will be proud of, a knife with a story to tell. Bar, coffee shop, gift shop and free parking nearby. I have been making knives since I can remember. My knives are not simply for admiring, they are made to be used. They are great for hunting, fishing or having with you while you are on a hike. Mosfellsbær, 15 minute drive from downtown Reykjavík. Public bus available to get to the location. Address of the workshop will be provided after booking. "A gift from Iceland - the opportunity to work with the amazing Palli"
"What a fantastic privilege it was to spend a day learning the craft of knife making from this world-famous knife maker on our recent trip to Iceland! Palli was great! 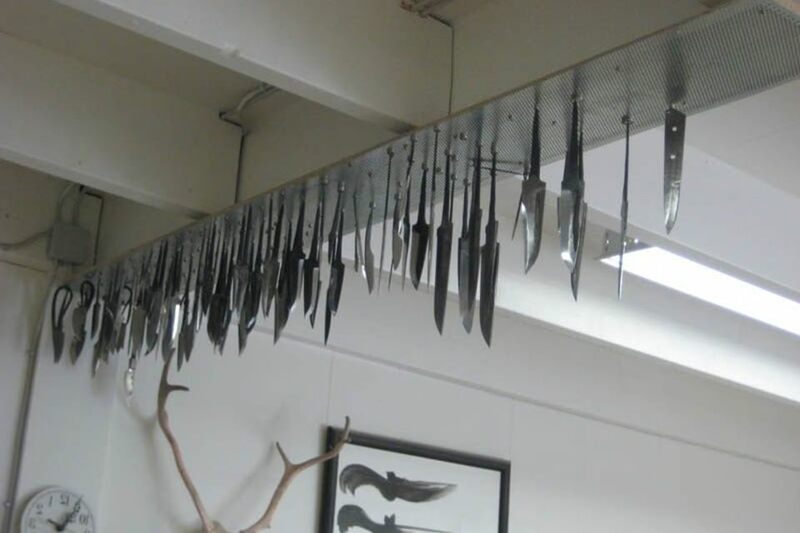 We could see from the knives he had made that he is a perfectionist and a knife making genius. Yet he encouraged our beginners’ efforts, and communicated his confidence that we could create something quite lovely, even with our limited skills. 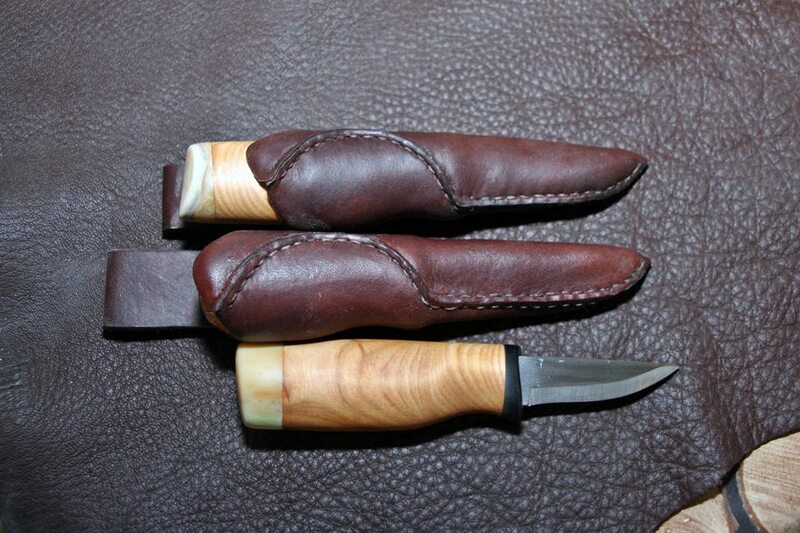 We made, not just the knives, but leather sheaths as well. What a tremendous learning experience! An added blessing for us was that Palli and his wife Soffia were amazing, warm, hospitable, and truly helpful to us in many ways. We enjoyed our time with them, and will never forget the wonderful day we spent together. This is a “must” experience for anyone who appreciates artistry and wants to learn something new from a true master. We ended up bringing home, not just our own handmade knives, but awesome Icelandic memories of our time in this enchanting place with such gracious people." "Palli and Soffia are Amazing!" I was hesitant to spend so much money on a one day workshop, but any opportunity to work with my hands is a highlight for me, and Creative Iceland were able to find two other people for me to split the cost with. I'm so glad I went ahead. - Palli and Soffia are artisans to give you goosebumps. They'll show you around their (gorgeous) workshop and sales area, and let you handle their most beautiful work. - They're generous with materials, and the finished knife will be a treasure. - They have a WATERFALL outside their back door! - Mosfellsbær is a lovely sleepy town with some beautiful surroundings that are well worth a wander around. - Lunch is glorious. They'll most likely bring you up into their wonderful house, which Palli built himself. You'll experience Soffia's artwork and Palli's cooking. - Palli's cooking - It needs its own point. He could probably run an event just to taste his smoked trout. I've been vegetarian for five years, but decided to have a tiny slice, and it was so worth it. - There's this Icelandic Christmas thing where they mix Appelsín and Maltextrakt, for some reason Soffia decided to do it in March and I'm now an addict. - They have a beautiful German Shepherd! She loves fuss and will be your instant friend. - The workshop tools are a joy. This was my first time coming across Abranet - I ordered a pack from Finland as soon as I got home, and will never be touching sandpaper again. - Palli will do some things for you, for safety or speed, but he is very happy to answer questions about the tools and methods he uses. - Palli let me take home half a reindeer skull! I soaked the meaty bits out at home and named him Steve. UK customs didn't seem bothered. I love Steve.